3 elements - oops! I flower with Spellbinder die, 1 feather in her hair, 1 set of coloured jewels around the die, I counted this as one but there are 15 jewels, I guess I'll be banned. never mind I had fun colouring in Jasmine. 3. 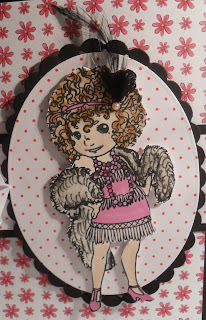 Three elements - Rosette, Feather and one pink stone on headdress. Here is a close up of Jasmine. 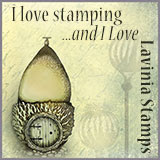 Addicted to Stamps and More are for this week challenging you to be Addicted to STAMPS # 6. 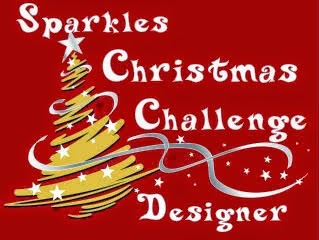 Please do pop over to the blog for more inspiration from the amazing design team and for more information. 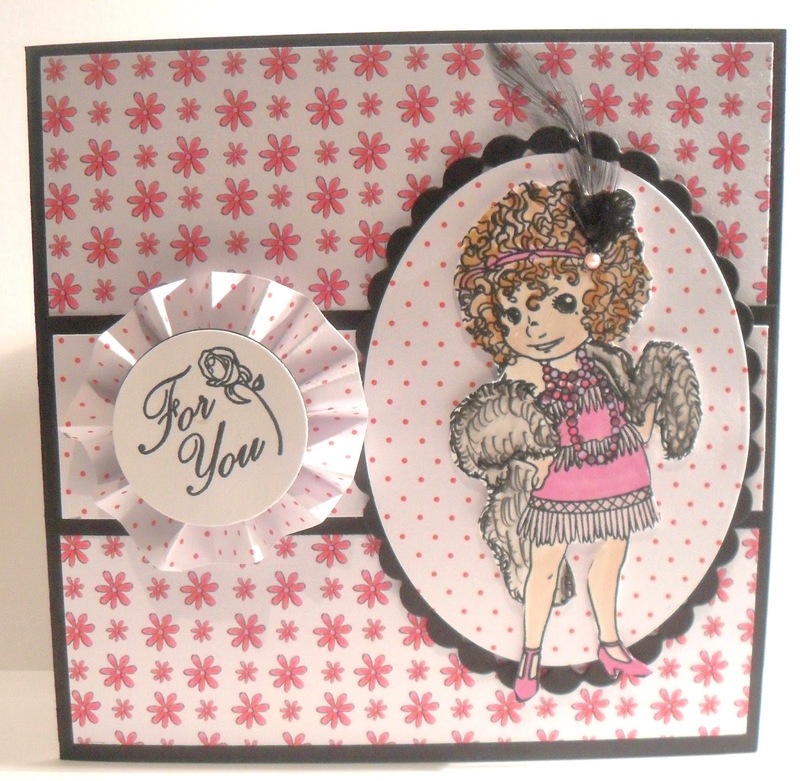 For my DT project I used a technique called - Caught In Crystal - it's an old stamping technique but with a modern twist, as seen on this You Tube video presented by Sheena Douglass. http://www.youtube.com/watch?v=FaAi_cxKMH0 I stamped onto heat resistant acetate with Black Stazon using Indigo Blu stamps, I also used H2Os . The floor polish worked a treat, the results close up are very satisfying. I do encourage you to try this technique I'm sure you'll have fun. 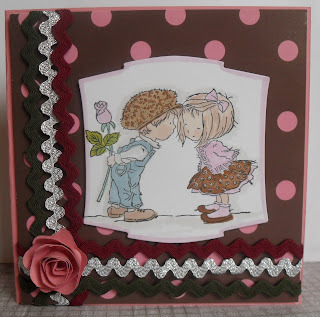 This week at Make My Monday it is my turn to choose the theme, I always love to see the vast differences in how people interpret a colour challenge so my choice this week is an old favourite of many PINK AND BLACK no other colour is to be used. For my project I decided to alter an old CD, you know those advertising ones that you often get either through the door or with newspapers. I painted it pink, then added some of TH Shabby stash papers which I had stamped on with a beautiful La Blanche scroll stamp. 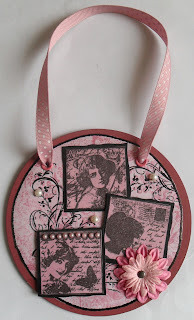 I added a few pearls The three ladies have been stamped onto pink paper and matted onto black card. Thank goodness for my crop-o-dile which cuts holes like a knife in butter. I now have a pretty wall hanging to add to my home. Have fun everyone. For this week's challenge at CD Sunday challenges which is Hugs and Wishes, I honestly looked at many CDs to find a suitable image, as many as I found, I still returned to The Best of La Pache 2012 for in my mind I had transferred the title to Hugs and Kisses so this felt perfect. Once I realised it was Wishes and not Kisses I thought well maybe it is as equally appropriate for there may be a case of lots of wishes going on here. It is decoupaged, I do hope no one is offended for I found it very amusing. 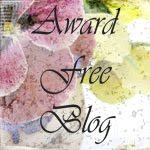 I again look forward to visiting your blogs for I greatly enjoy seeing what everyone has found to suit the title as well as the wonderful creations made. Have fun everyone. 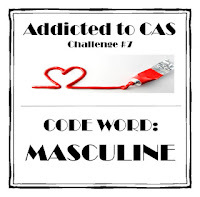 For the next two weeks at Addicted to CAS (Clean and Simple) we are challenging you making a project which is Masculine - anything which you feel fits the Male world. 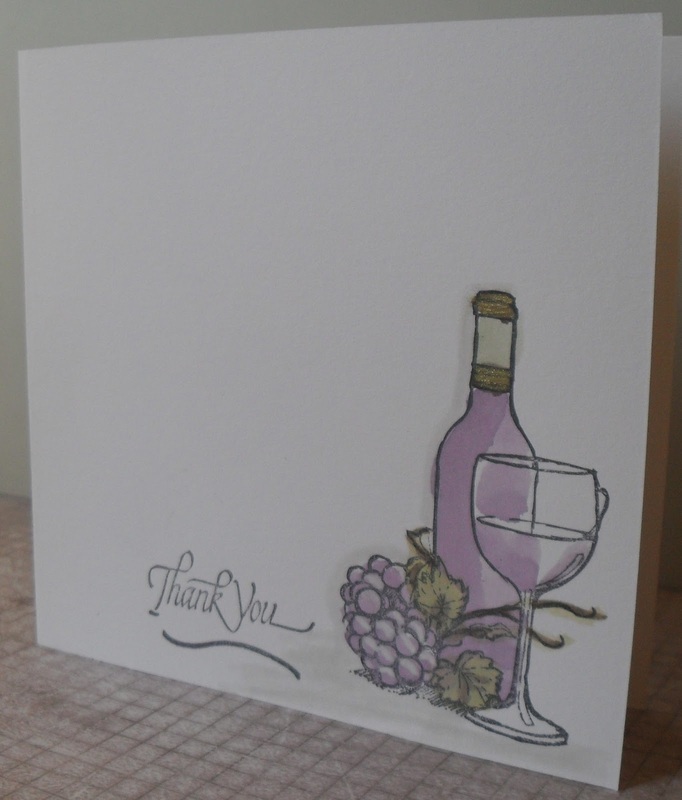 Considering my darling OH enjoys a good bottle of red wine, this is the kind of card he would appreciate, especially if it had a voucher inside for said bottle of wine. The stamp is from Sheena Douglass - Provence. I coloured it with Distress Inks used as watercolours. 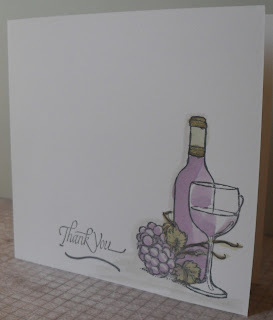 To get the white light on the grapes I first used a white Sakura gel pen, let it dry, then added the watercolour ink. 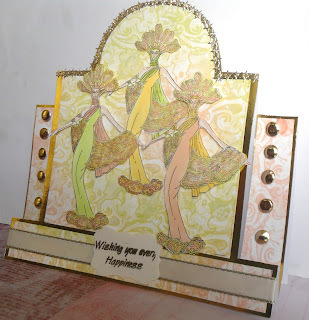 Have fun, I so enjoy visiting your sites to see your creations. Addicted to Stamps and More for this week the Theme Challenge is Vintage. 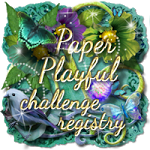 a chance to bring out all the old vintage type papers, stamps, flowers, buttons, lace, pearls whatever you wish to add to your project. 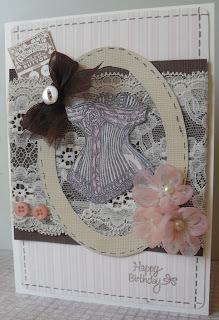 For my card I started with the corset, from a Creative Expressions set - Vintage Lingerie. 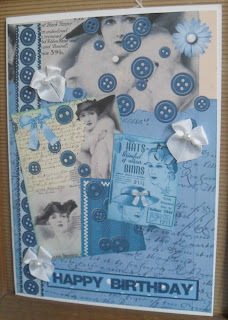 Then I wanted to add some lace, buttons, a ribbon until I thought I should stop adding. I think Vintage looks so romantic, so I hope you have as much fun as I did, making your project. I look forward to again visiting you. Hello to all fans of Make My Monday, this week Fliss from our Deezine Team has chosen Ribbons and Bows. I thought I would try something completely different, so I made my card using a crafting CD. 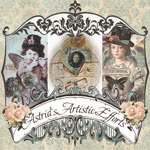 I used a Debbie Moore Shabby Chic Haberdashery CD, which has some beautiful papers and designs. 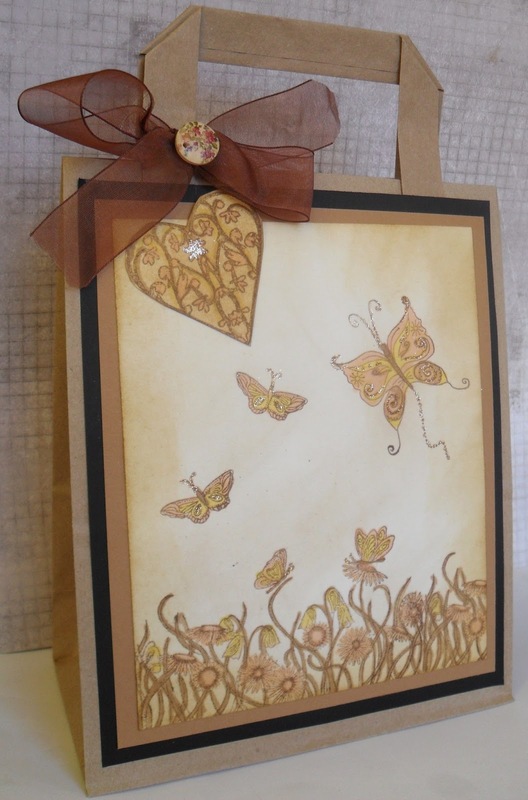 I know I love my stamping but I I thought for this project maybe something different was called for. I look forward again to visiting you over the next week. We always have beautiful entries to our challenges so I would love to see more applying for a DT post, we really are very friendly and whether you have been on a DT or not, we would give help and guidance to the level you needed. We all have to start somewhere. Remember to have fun with your project. 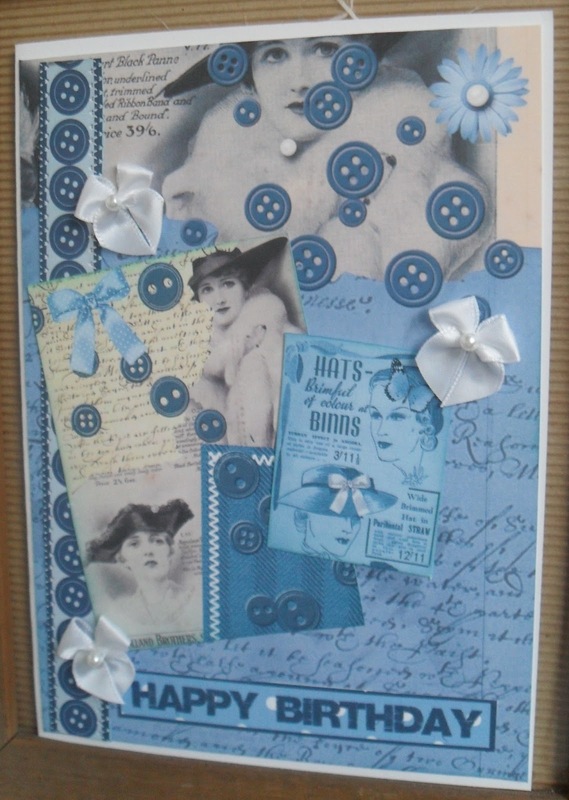 I am also entering this card into Buttons and Bows at Artistic Inspirations Challenge blog. 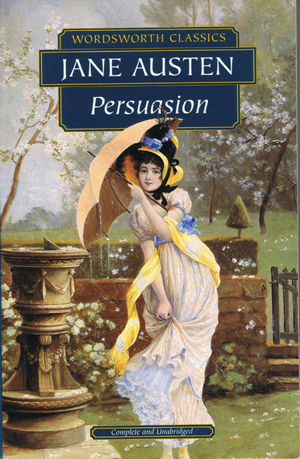 This week at CD Sunday Challenges we are probably being more hopeful than the weather forecasters would agree - for Spring is in the Air is our challenge for you. not much sign of it here in the North East of England but hopes are high. I apologise for the quality of my scan, the light has been really bad today from very early in the day, so I wasn't able to take a photo. I will replace hopefully tomorrow. I printed a beautiful background sheet of snowdrops from Peerless Designs Yesteryears Floral Vase Collection CD. From the same background paper I punched the edge lattice panel with a Martha Stewart punch, I also stamped and cut out the butterflies. 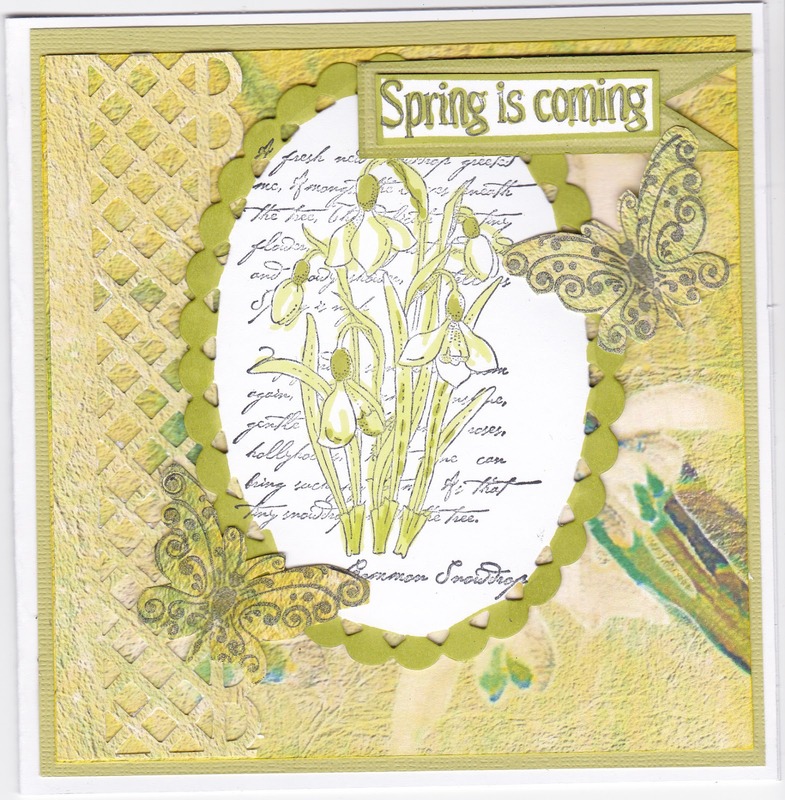 the centre stamped image of snowdrops is from a Chocolate Baroque stamp, which I coloured with two shades of green Promarkers. I look forward to visiting you once again, thanks to any visitors I may have during this challenge. Fingers crossed for Spring to show itself. Wow! here we are at Alphabet Challenge starting off once again with the letter A - Jan has chosen something for us which gives a wide choice to choose from -Anything with Wings. 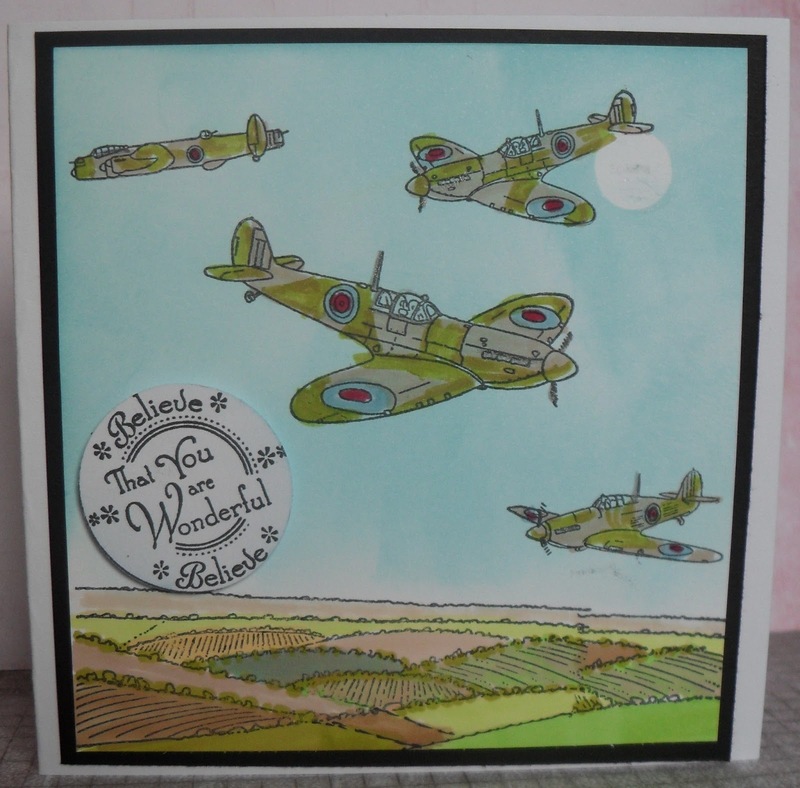 I was so lucky to recently purchase a few Hobby Art Ltd Stamps, my card is made from stamps from the Flypast set. My son was in the RAF for 12 years so it is appropriate to me, plus I enjoy scene building with stamps, so these are very suitable. I coloured the sky with Tumbling Glass and a little Blue China - TH Distress Inks, the remainder are coloured with Promarkers. I know I should have a white ring on the RAF insignia but I din't have a white pen when I coloured it in. I do look forward to visiting you during this challenge to see what you have chosen for Anything with Wings, please have fun. 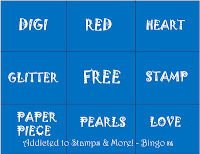 Time for another Bingo call, #6 the chart is above, being Valentine's so soon, I decided to use that for my theme. This was a very easy card to make but I think it is effective, it could end up being my OH's card, he likes monochrome cards. 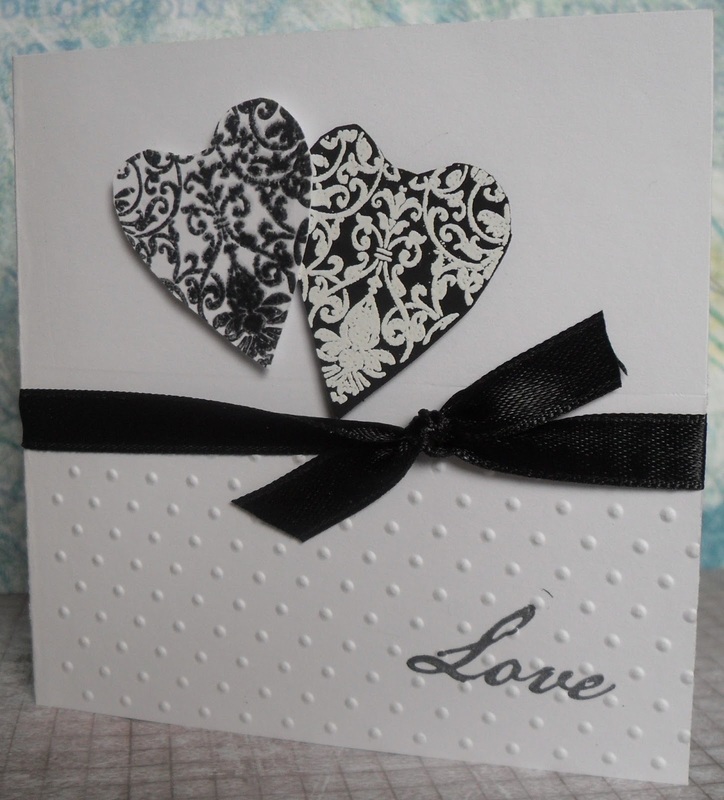 The Black heart was stamped with DI Black Soot and embossed with clear EP. The White heart was stamped with Versamark and embossed with Stampendous Clear Detail White powder. 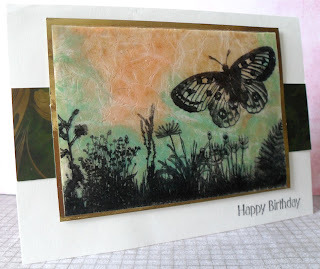 I only put the lower half of the card in my Swiss Dots Embossing Folder. 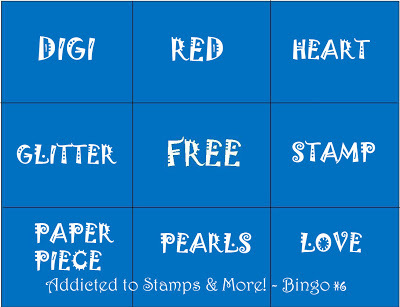 I look forward, as always to visiting you to see which line from the Bingo you have chosen. Most of all have fun. 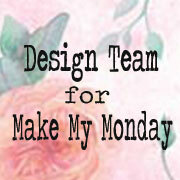 This week at Make My Monday we are asking you to Add a Charm to your creation, remember it can be any project you wish. Being so close to Valentine day, I decided to use a gift sent to me from a friend. Both the From Me To You papers and the stamp were free with a craft magazine, my friend felt I could put them to use more than she could. I used Promarkers to colour Ted. The charm I added I have had for years, I even remember which craft event I bought it at, it was intended for an Oriental card but I couldn't bear to part with it. The time has come for it to go. 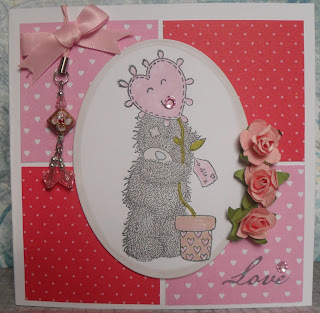 I will give this card to my grand daughter and I am sure she will add the charm to her phone. Please pop over to MMM for the Design Team have some wonderful samples with charms added. This is also an important time for us as we are having a DT CALL which will close in two weeks, to find details on how to apply again please visit Make My Monday here. This week at CD Sunday Challenges, I had some more fun with the wonderful The Best of La Pashe 2012. 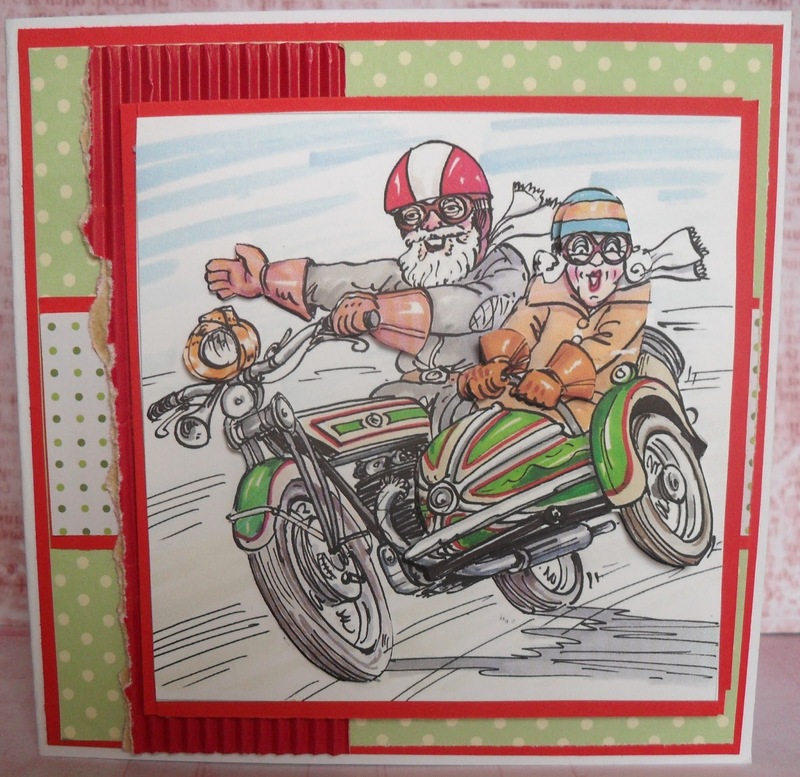 There were a number of images I could have chosen for our challenge On Your Bike but this one stirred memories of the days many years passed when my OH and I travelled on his motorbike, we didn't have a side car but this image is so nostalgic and amusing, I hope you too enjoy it. The card was made with left overs again from my stash boxes, apologies for now the sources are unknown. I'm not sure if you can see it has been decoupaged another technique I enjoy going back to. Have fun ladies, I am sure as the Design Team have produced a variety of bikes in their creations, you too will have some variations for us to see, I am looking forward to once again visiting you ladies. I may be late each week but I do get around all entries and I do enjoy visiting everyone. Thanks for your visits to my blog, they are greatly appreciated. For the next two weeks, which will include Valentine's Day, we at Addicted To CAS are challenging you to make a CAS project using the Code Word = CANDY. The Design Team are well scattered over our small world, we realise some words have different meanings in different countries. 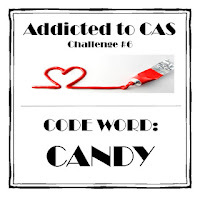 I do know that sweets and chocolates in the UK are referred to as being Candy in the U.S.A., so whichever country your in we do hope you will take part. 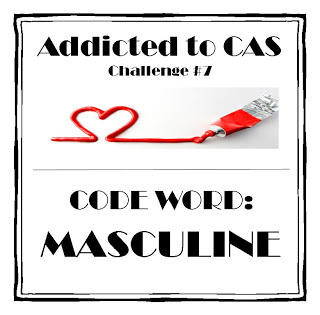 My CAS card is simply a piece of brown ribbon and a bow, with a Valentine flavoured greeting .... you melt my heart.... the chocolates and the greeting are free downloads from a brilliant site where there are many free downloads. You will need to look for there are several to do with chocolate, I advice you look in the January and February entries for 2011 at http://crafticious.blogspot.co.uk/ I covered my cut outs with Glossy Accents but the beautiful dark chocolate turned a little green, I am pretending this is a marzipan or lime chocolate. Yum yum. Have fun everyone, please remember it is to be Clean and Simple. presentation for the challenge and are now inspired to join in the challenge. I look forward to visiting you, and again many thanks to those who take the time to visit me. Have fun. I decided to make a DL card, in the UK this measures approx 7" high and 3.5" wide, I believe the DL is Doubled Length. 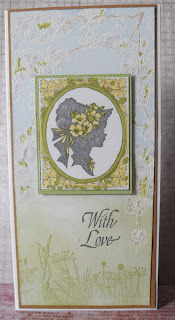 It was the pretty blossom on the trees, the blue sky and green grasses which first gave me the idea for my card, along with a new stamp from Crafty Inspirations with a pretty girl wearing a poke bonnet. 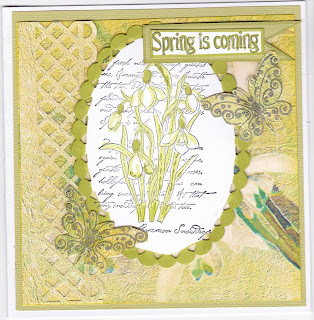 I first heat embossed with white EP a blossom stamp, then brushed on the blue for the sky, the green for the grass. I coloured the blossom with a light pink, the branches and a few leaves. 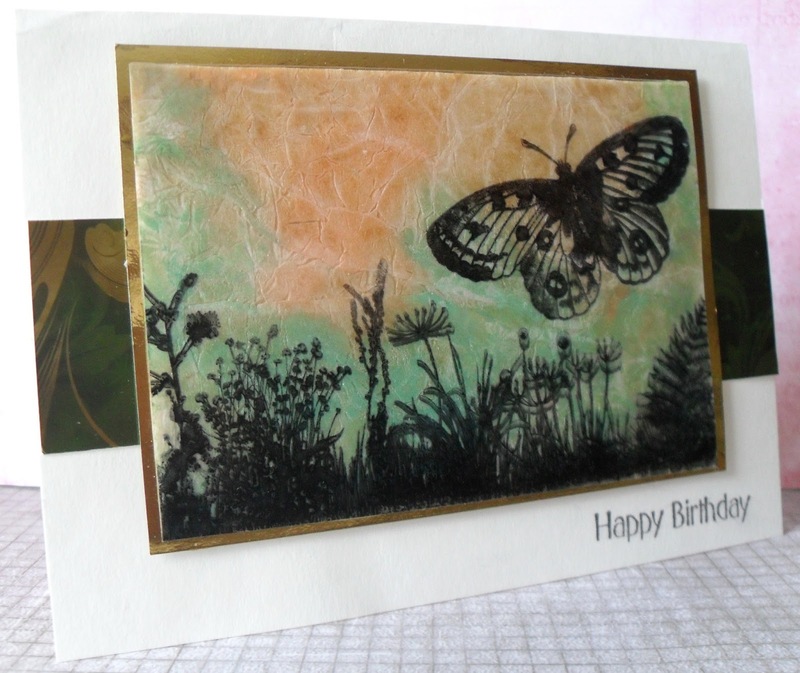 Stamped some grasses at the base of the card and added a sentiment. 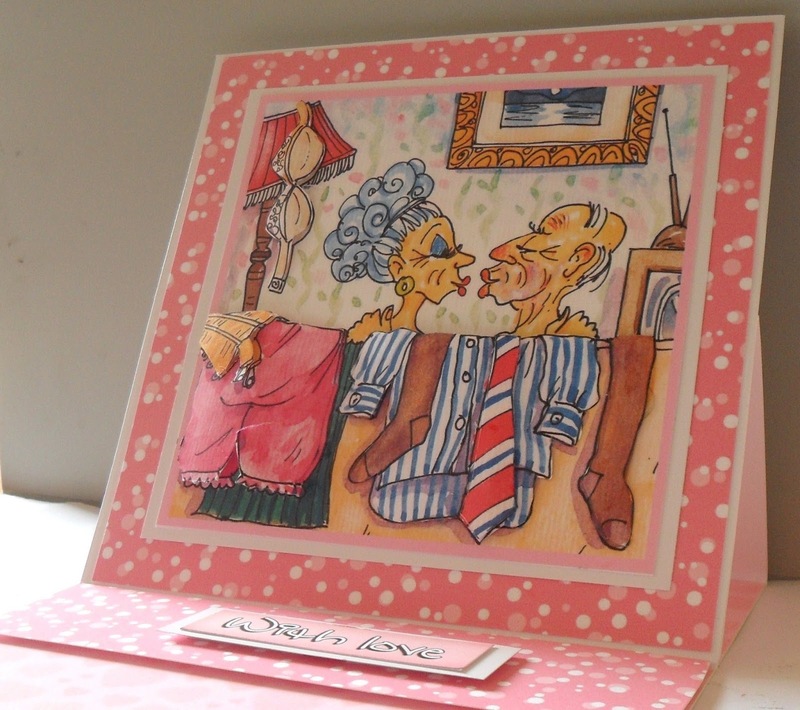 I stamped then coloured the lady with Promarkers. Blossom - ? 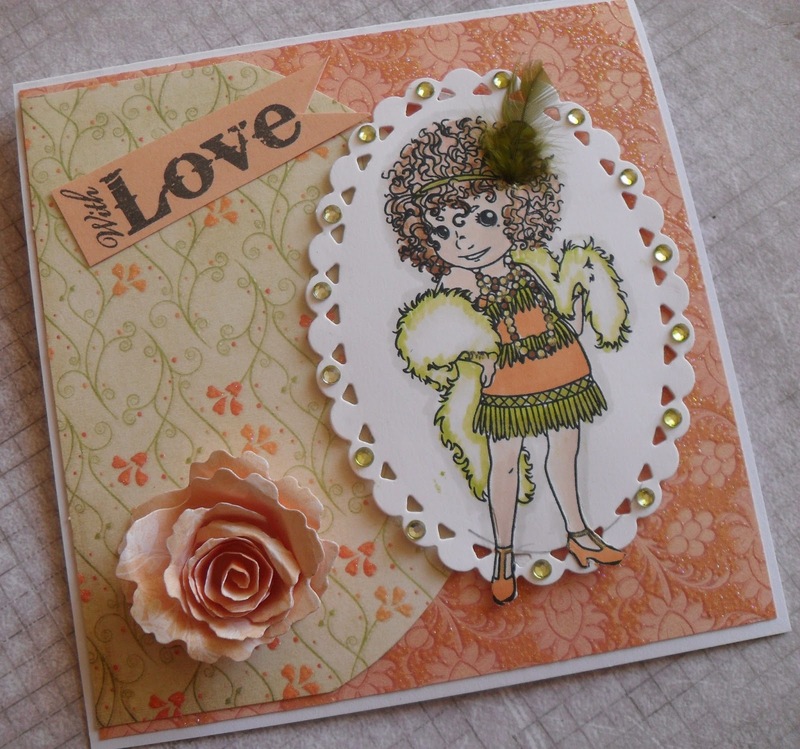 maker, Grasses from Inidgo Blu, Lady in Hat from Crafty Individuals, With Love ? source. It's Showtime this week at CD Sunday Challenge, which is my choice, so for the lucky winner, I have a small prize ready to be posted. Good luck to all who enter. Of course it doesn't have to be Las Vegas style, but I've gone for this, only because I have the beautiful showgirl stamp from Rubbadubbadoo, I love to use her when I get a chance. 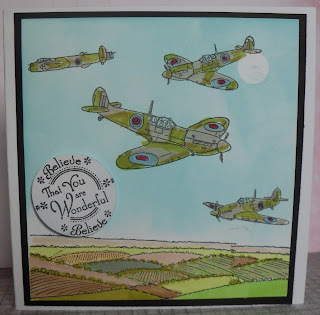 The background papers are from the Poppy set on Peerless Designs CD - Floral Jewels, which sponsored us and provided a prize a few weeks ago. 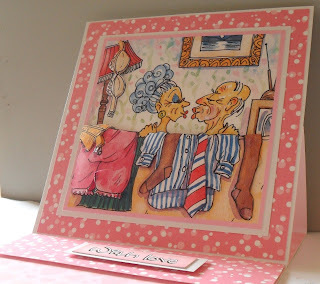 I coloured the images with Promarkers to match the papers. 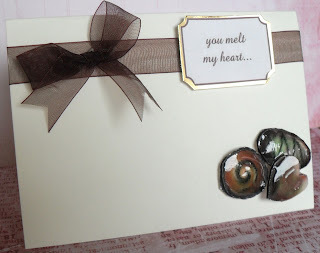 Added a strip of stars peel off around the top and card candy down the sides. The template for this card is from the Robert Adams CD Fabulous Folds. Well we have come to the end of the alphabet once again at Alphabet Challenges, Mari from our Design Team has chosen for the letter Z - Zig - Zags. 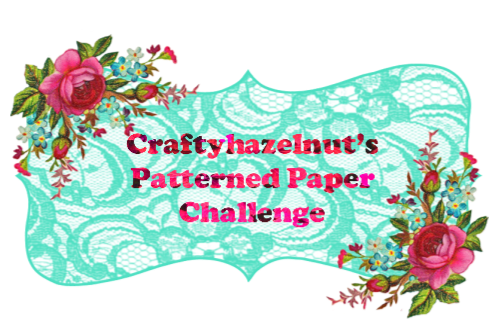 I couldn't believe in my stash of papers I couldn't find any papers with a Zig Zag pattern. I next searched through my ribbon boxes and found lots of Ric Rac braid. 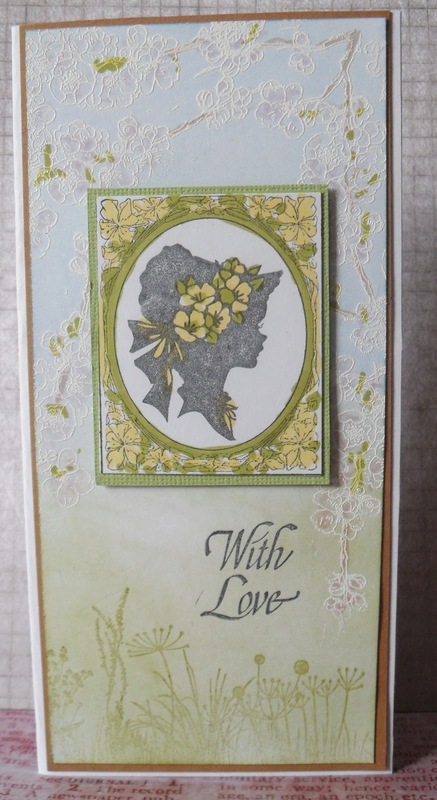 I made the flower using a Marianne die, the image is from LOTV stamps cut with a Spellbinders die.Coloured in with Promarkers. I look forward to seeing how you achieve your Zig Zags, most of all please enjoy whatever time you spend making your project, remember, though we do tend to demo cards, we do accept any hand crafted/paper project.